Construction is underway on a 150,100 sq ft speculative development of production and distribution space designed by The Harris Partnership for Gregory Group. Park 32 comprises four new units ranging from 12,000 sq ft up to 82,500 sq ft to suit uses including distribution, industrial and storage located close to Junction 32 of the M62 between Castleford and Pontefract. The development occupied an established location adjacent to Park Side Retail Park which includes Wickes, Currys, PC World, Halfords and McDonald’s. 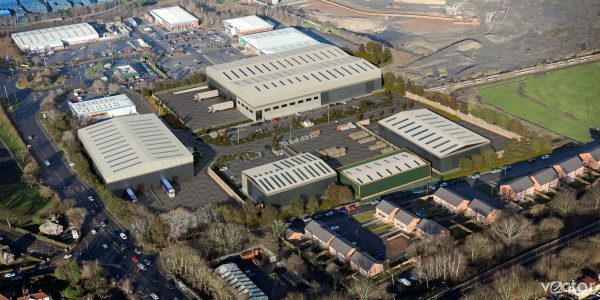 Travis Perkins already occupies an adjoining unit and the former Prince of Wales Colliery is under redevelopment. Gregory Property Group has agreed a building contract with Marshall Construction for the £15m project on a site with completion expected in summer 2019.